In the true spirit of #tru events, more Tracks and Topics may be added on the day! How can you can transform boring, impersonal, automated messages from your database/ ATS into a deeply personal and memorable candidate experience. In this track we will encourage participants to help design the perfect workflows and messages to deliver an amazing candidate experience to every applicant. Find out more about “Do Social Profiles mark the final demise of the CV Database?” track! We all know Quality employees generally refer other quality people but what happens when that quality doesn’t meet your immediate needs, technical criteria or hiring standards- what then? The mobile workforce is the great differentiator as we venture in to recruitments challenging future. Once you grab the attention of a mobile worker, how do you build a lasting relationship that will keep them engaged? TempBuddy examines the many ways recruitment companies can harness the power of the mobile workforce and other smart methods for future success in a rapidly changing marketplace. The average teenager wouldn’t go near Facebook. Why? Because their parents are on it dummy! In this track we will discuss the online habits of the future workforce, Generation Z and discover what teenagers can teach us about recruiting in a social age. How companies like Microsoft are tackling these challenges? I share my views and hear others views on choosing recruitment as a chosen profession, what types of people is suits most, and how we can encourage it as a career path for graduates. We will be discussing the issues of culture-fit in recruitment, and how to avoid bad hires from great CV’s. Find out more about “The Crazy to Hire Matrix” track! Talent marketplaces are a new addition to the online recruitment mix. Will they stay or will they go? This track includes a firsthand accounts of the experiences so far at Zartis.com, an online talent marketplace for tech talent. Find out more about “Is there a place for on-line marketplaces in Recruitment?” track! One of the #truDublin 2015 Tracks will open a discussion on the performance metrics we use to evaluate recruiters and the metrics we perhaps should use instead. 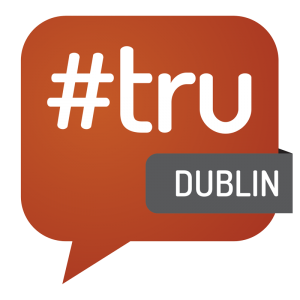 Find out more about #truDublin Track Leaders!